We hope that everyone has been enjoying winter, the best that they can. This year as quite a doozy, but Spring officially starts tomorrow, and we can’t wait for the warmer weather to stick around. Before we know it, the kids will be out of school for the summer, and we will be wishing for relief from the hot and humid weather. While that prospect may seem to be a welcome change right now, that feeling rarely sticks around for the entire summer. While we sit in limbo, between a too-cold winter, and a hot summer, we can get out and enjoy local activities around Cincinnati, where weather doesn’t factor in on fun. So, jump into your new and used cars, Cincinnati OH, and head on over to the Children’s Theatre of Cincinnati for the close of its 89th season. The Children’s Theatre of Cincinnati is closing its 89th season with Roald Dahl’s, “Willy Wonka JR.” The show is being directed and choreographed by Jay Goodlet, and is based on the book “Charlie and the Chocolate Factory” by Roald Dahl. 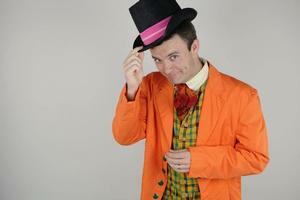 You may recognize the actor playing Mr. Willy Wonka, as Local 12’s Bob Herzog. The show plays April 12, with showtimes and tickets available through Ticketmaster for various dates leading up to the final curtain on the 12. Because “Charlie and the Chocolate Factory” wouldn’t be the same without the Golden Ticket, which you can find at TriHealth Priority Care locations this Saturday from 1pm-3pm. The five lucky holders of the Golden Ticket will join Bob Herzog as he throws out the first pitch at a Cincinnati Reds game, and will win a Reds Heads Kid Club Membership and other great prizes. Don’t miss out on your opportunity to see a great show at a great venue, and for your chance to find the Golden Ticket this Saturday!